The feature or system requirements hold the foundation that our code is going to be built on. One of our goals as software developers is to maximize our understanding of how the system should behave to provide maximum value to our customers. A simple, but effective, way to achieve that is to minimize the number of assumptions we’re going to make as developers. We can do so by focusing on communicating effectively with the people responsible for creating the requirements. The goal is to bridge the gap of the technical and business propositions by always aiming to provide the best possible customer experience. For example, the following requirements don’t bridge that gap. They are vague and susceptible to personal interpretation, instead of having a global understanding of what things are and how they should work. Instead of creating assumptions and immediately diving into translating these lousy requirements into code, we can think of these requirements as a “zoomed out” version of the system or perhaps “a puzzle to be solved.” Lousy requirements might show the big picture, but not the essential details. As we ask more and more questions, we should be eliminating more assumptions. Then we can start structuring our ideas better and providing more value to our teams. We can then start drafting Use Cases, essentially small recipes, for translating the requirements in procedures that we will then turn into code. 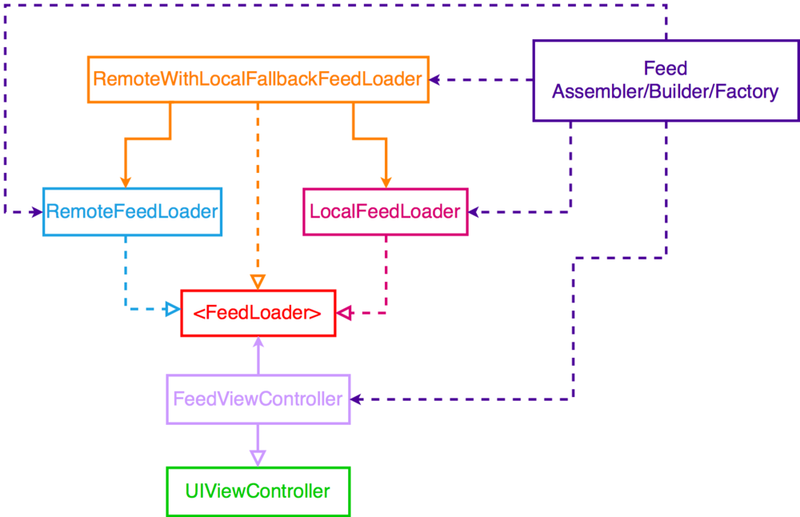 Execute "Load Feed Items" command with above data. System downloads data from the URL. System creates feed items from valid data. Execute "Retrieve Feed Items" command with above data. 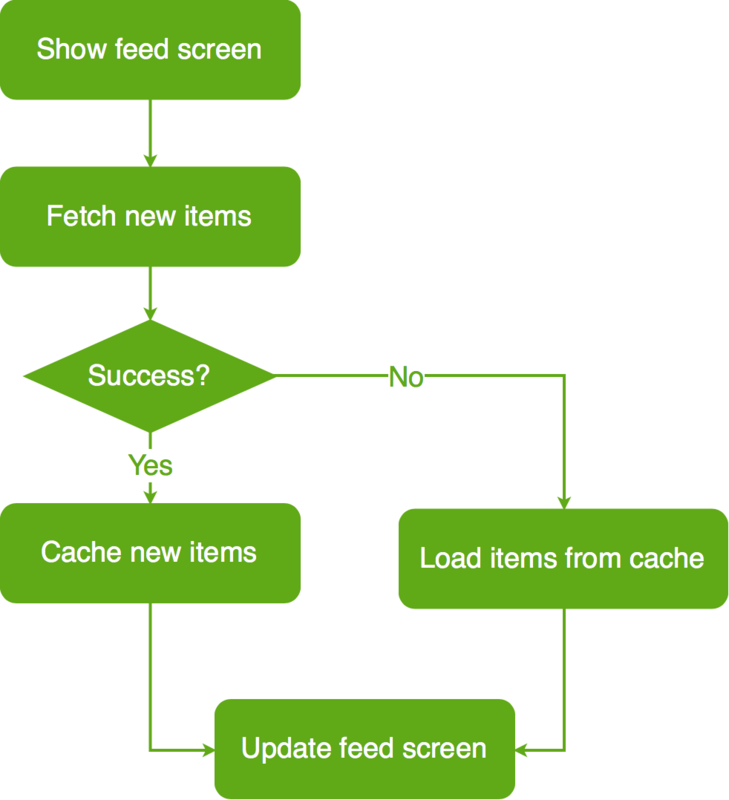 System fetches feed data from cache. System creates feed items from cached data. System delivers no feed items. Execute "Save Feed Items" command with above data. System timestamps the new cache. System replaces the cache with new data. System delivers a success message. Finally, in order to communicate the workflow of the feature to everyone, we can translate the requirements to the following flowchart. In the next episode, we’ll start implementing the above requirements, so subscribe now to our Youtube channel and catch free new episodes every week.